Those amongst you who’ve known me personally before I started this blog, already know I was into photographing a while before loss. I’ve always loved taking pictures, and looking for angles to make a picture that little bit more special. When Frank and I decided to have kids, I went and bought myself a DSLR and subscribed to a 6-week course so I could learn the basics of photography and learn to use this new toy. I wanted to spend as much time as possible learning everything I could so I would be able to take stunning shots of the baby when he or she would arrive. Just a few weeks into this course, I discovered that I truly L.O.V.E.D creating beautiful, captivating images filled with emotions. So what started as a hobby, soon turned into a dream to expand to a professional activity someday (part-time that is). And my dream was slowly coming true. Although I had just began, I received great feedback and people seemed to love my work. In the beginning I offered to do photoshoots for free, so I would be able to train myself and learn. But then requests for photoshoots were dropping in more and more as happy moms would tell their friends. That’s when I decided to start asking a small fee for my pictures, and so my journey began. I never expected it to stop so abruptly. When I lost my own baby, even the thought of photographing other babies was crushing for me. I haven’t even managed to finished editing the pictures I made before everything went wrong with Sahar. It would be so incredibly confronting and plain cruel for me to do so right now… So, for now, I stopped offering my services as a newborn photographer. Although I stopped working on the newborn photography, I never ever considered abandoning photography entirely. There are so many beautiful things in this world to capture. I just changed the subject. During the trip we made to France right after we buried our little girl, I spent most of my time with my DSLR in my hands. Capturing the little things. Bugs. Butterflies. Flowers. The sky. Landscapes. Life. I felt the need to photograph life just when death was so present in my life. It made me feel so much peace. It was a way of occupying my mind with Sahar, in a positive way. I could see and feel her through all those tiny little miracles that live amongst us. It’s incredible how all those tiny beings pass us by completely in this busy world we live in. After they were captured, editing these pictures made me feel the same amount of peace. Exploring every pixel and every detail of that vibrant life that’s all around us, brought me joy in times of sorrow. And since my journey of blogging also started around the same time, I found these pictures were the best way to transmit a feeling of beauty and peace on my blog, and share my work with everyone out there at the same time. I created another logo, one to go with this blog and the photography I’m doing for it, helping me look at this as a completely different project. I guess that my message here is double. 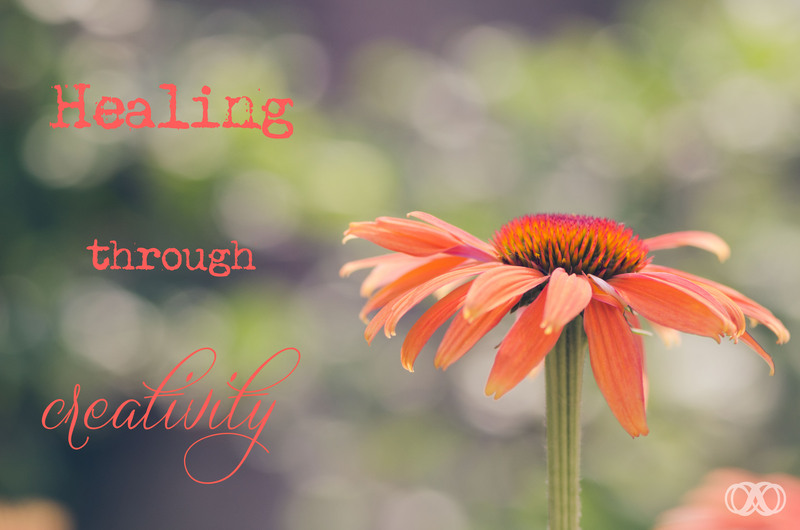 On one hand, I would encourage anyone going through a loss to explore healing through a creative activity, whatever that may be. It could be painting, writing, photographing, sculpting… the sky is the limit. You might be surprised at how it makes you feel. On the other hand, reconsider your previous hobbies. If you had a hobby that confronts you with your loss and is too hard to take on at the moment, try to evaluate if you could use that same hobby in a different way to find healing, just like I changed my subject in photography.